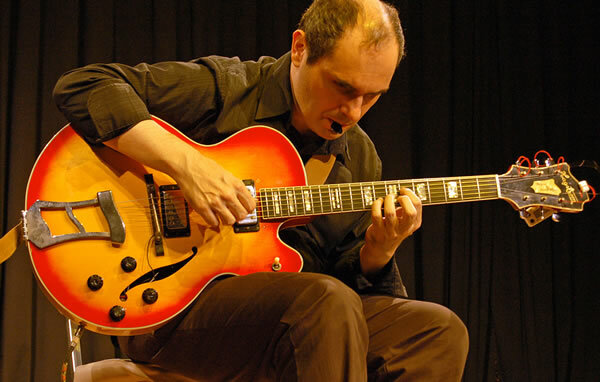 Julio Herrlein was born in Porto Alegre, Brazil, September 22, 1973 and has started playing at age 11. 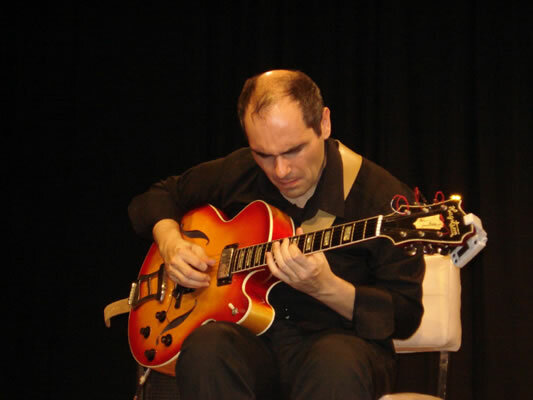 He has been working professionally for nearly 20 years as a guitarist, composer and arranger. 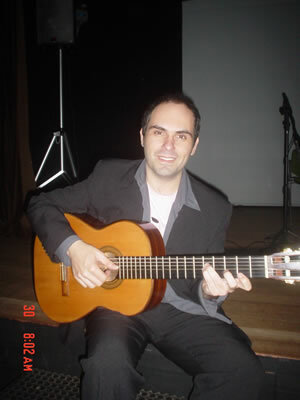 He has taken his bachelor’s degree in musical composition at UFRGS (Universidade Federal do Rio Grande do Sul). In 2006, in Rio de Janeiro, Julio won the first prize in the VIII National Composition Contest – IBEU (Brazil-United States Institute) with his composition “Brazilian Maestros Suite”, composed and arranged by him for big band. The composition honors three exponents of Brazilian culture: Moacir Santos, Hermeto Pascoal and Maestro Cipó. Among the judges were: Carlos Malta (saxophonist, arranger) João Guilherme Ripper (Member of the Brazilian Academy of Music and curator of Cecília Meirelles Hall) and Leonardo Bruno (composer, Abel Ferreira’s son). In 1996, his composition “Novembro”, from the album “Julio Herrlein Quartet”, won the I Instrumental Music Festival of Rio Grande do Sul. In the area of music for advertising, he has composed, arranged and produced nearly 1.300 musical pieces that have been broadcasted nationally and internationally, and many of them were awarded. 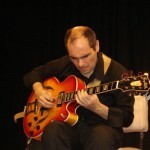 As a guitarist, he recorded his first album Julio Herrlein Quartet in 1996 at age 22, with the presence of great musicians Kiko Freitas, Michel Dorfman and Ricardo Baumgarten. He has also performed in several formations (duo, trio and quartet) sharing the stage with many important musicians in Brazilian and international scene. 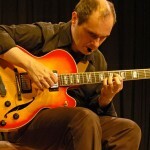 Julio developed the guitar recital “Solo Jazz”, performing in many theaters in his state and in the country. Julio also works regularly as a music teacher, and is sought by professional musicians from several musical segments that want to improve their music. Some of his articles were included in the book and CD ROM “The Art of Improvisation”, by the American trumpet player Bob Taylor. In 2010 he was a teacher of the Guitar Course on the XVIII Curitiba Music Workshop (one of the most important workshops in Brazil. There he performed with important names of Brazilian instrumental music, as Fábio Torres (piano), Edu Ribeiro (drums) and André Vasconcellos (bass). 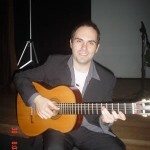 Julio has already played with several national and international musicians like: Joris Teepe, Kiko Freitas, Fábio Torres, Edu Ribeiro, André Vasconcellos, Eduardo Neves, Thiago do Espírito Santo, Sandro Haick, Gustavo Assis-Brasil, Mauricio Zottarelli, Ari Hoenig, Edu Martins, Lucinha Lins, Robertinho Silva, Phil DeGreg, Alegre Corrêa, Maggie Green, Craig Owens, Pata Masters, Guinha Ramires, Glauco Solter, Michel Dorfman, Bebeto Alves, Gelson Oliveira, Alessandro “Bebê” Kramer, Maurício Marques, Paulo Dorfman, Emilio Valdes, Michel Leme, Bruno Tessele, Matheus Nicolaiewsky, Diego Ferreira, among others.